any time an entity did not release their application to a "third party". faster, growth and expansion of the overall open source software base. the RPL is found in two definitions: "Deploy" and "Required Components". Regarding deployment, under the RPL your changes, bug fixes, extensions, etc. the software you have to start sharing the software. binary or used as two halves of client/server application -- must be shared. You have to share the whole pie, not an isolated slice of it. 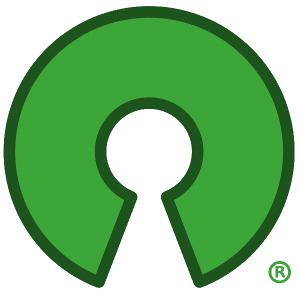 the Open Source Definition as maintained by the Open Source Initiative (OSI). Licensed Software by You to any third party in any form or manner. Components as those terms are defined in this License. 1.8 "Licensed Software" means any Software licensed pursuant to this License. functionality of Licensed Software at runtime. (commercial or non-commercial) does not qualify as Personal Use. of Licensed Software and/or Your Extensions. version of the Licensed Software or Your Extensions. DERIVATIVES, OR DISTRIBUTE THE SOFTWARE. Licensed Software or portions thereof. any Contributor even if such marks are included in the Licensed Software. otherwise would have a right to license. License or the recipients' rights hereunder. actual cost of duplication and distribution of said copy. permission of the respective Licensor or Contributor. recipient will know whom to contact. information in a human-readable file supplied with Your distribution. recipients' rights relating to Licensed Software. user would be likely to look for such a notice. where a user would be likely to look for such notice. conflict in a fashion that remains consistent with the intent of this License. Such permission will be granted at the sole discretion of the Licensor. Licensed Software created under this License. Reciprocal Public License or simply the RPL. expiration of said Notice Period. the amount or value of any payment or license. distributor hereunder prior to termination shall survive termination. 13.1 U.S. Government End Users. The Licensed Software is a "commercial item,"
those rights set forth herein. to the contrary, whether expressly, by implication, appearance, or otherwise. then You cannot use, modify, or distribute the software. form, except in compliance with the terms and conditions of the RPL. language governing rights and limitations under the RPL.